Please Note: This item is too heavy for international shipping. 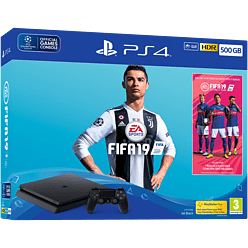 Main supplied items: 500GB PS4™ console, Blu-ray Disc copy of EA SPORTS™ FIFA 19, one DUALSHOCK®4 wireless controller, HDMI cable, USB cable, Mono headset, AC power cord, PlayStation™Store voucher code. 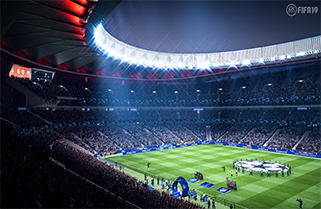 Play the brand-new standalone UEFA Champions League mode as you play your way through the group stages all the way to the final at the Wanda Metropolitano Stadium in Madrid. 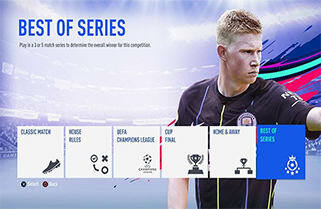 There are 5 new match types for you to play in FIFA 19 including UEFA Champions League, House Rules, Best of Series, Home & Away and Cup Finals. Prepare for a unique and interesting twist in the Kick Off experience. 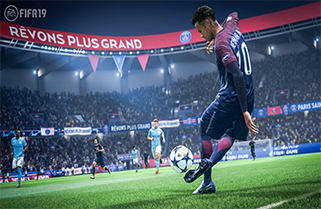 For the first time ever, UEFA Champions League and Europa League are both coming to the popular mode, FIFA Ultimate Team. Watch the excitement of the European competition come to life in FUT. 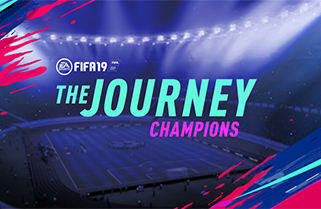 Play the dramatic finale of Alex Hunter’s journey in FIFA 19. Watch the iconic football player as he chases UEFA Champions League glory both on and off the pitch.